The McLaren Edition is a slightly redesigned model with a new charging technology based on the OnePlus 6T. Accessories are aplenty, but is the special edition worth the $150 premium over the regular device? Find out in our review. The OnePlus 6T McLaren Edition will definitely appeal to fans of McLaren and Formula 1 in general. This is more than just a new paint job. The meticulously crafted retail box, exclusive accessories, and the speed mark logo made from carbon fibre extracted from an actual McLaren Formula 1 car elevate the entire experience and makes it quite special. Moreover, the OnePlus 6T version of the McLaren did not have a premium because of the belief. The price of only 4,599 yuan ($669.83) is worthy of the collection of every follower who has survived against McLaren and F1. The McLaren edition OnePlus 6T goes for $699 in the US, which is just a $70 premium over the top-tier vanilla OnePlus 6T in the US. While this is a great price for a special edition phone, it will be up to you to decide if the $70 premium is worth it. 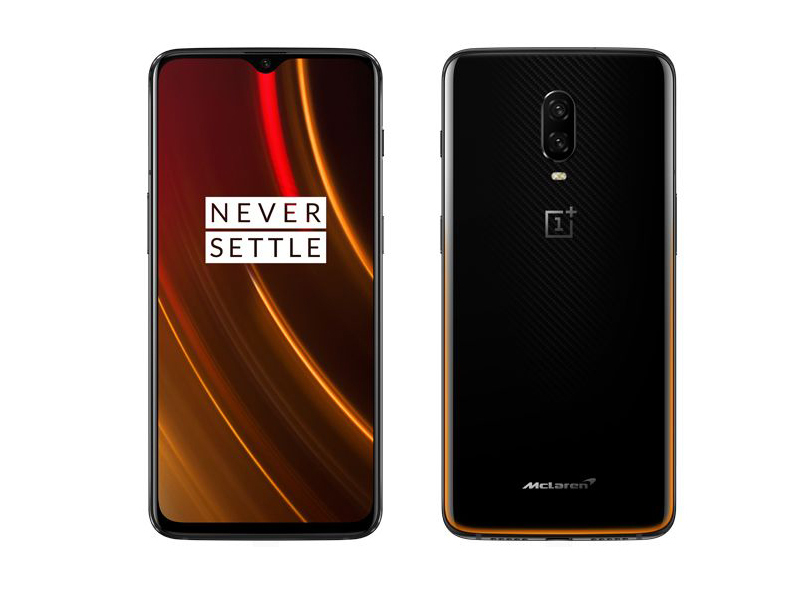 OnePlus has launched a special edition smartphone of the OnePlus 6T which was launched back in October – the OnePlus 6T McLaren Edition is the OnePlus’s newest smartphone in partnership with McLaren Racing featuring a McLaren inspired design, a whopping 10 GB RAM and new a fast-charging Warp Charge 30 technology that charges the phone 50% in 20 minutes. Here’s our hands-on with the new OnePlus 6T McLaren Edition. OnePlus 6T McLaren Edition first look: Is it worth the extra £150? For some, OnePlus is asking consumers to pay £70 extra for a tweaked design, faster charging and an unnecessarily large amount of RAM. In other words, it’s not worth upgrading to from the regular 6T, or possibly even the OnePlus 6. Pay £150 extra for a OnePlus 6T with a touch of McLaren style, speedy charging and 10GB of RAM. The OnePlus 6T McLaren Edition is an eye-catching phone with plenty of flagship features that improves on the standard 6T with even more RAM and even faster charging. It cost more, but it still undercuts a number of top flagship phones. Sure, the McLaren model isn't as premium as the Find X Lamborghini or Mate 20 RS Porsche, but it wasn't meant to be a luxury smartphone. OnePlus has entered a long-term partnership with McLaren though, so more luxurious and exclusive models might be just around the corner. If the additional RAM and Warp Charge 30 improvements weren't enough to justify the $70 premium over the standard OnePlus 6T, the unboxing experience alone might be worth that price. I haven't experienced anything like it and thoroughly enjoyed the experience. My family saw me unboxing it and were also very impressed with the retail package. Sales of the McLaren Edition OnePlus 6T will kick off in a couple of days, on December 13. The smartphone will be priced at $699. That’s a modest increase over the current OnePlus 6T pricing, but given the design and hardware improvements, it’s well worth it. Positive: Powerful hardware; high gaming performance; solid workmanship. Positive: Good price; powerful hardware; premium design; excellent cameras. Negative: Slow charging; unsupported waterproof. 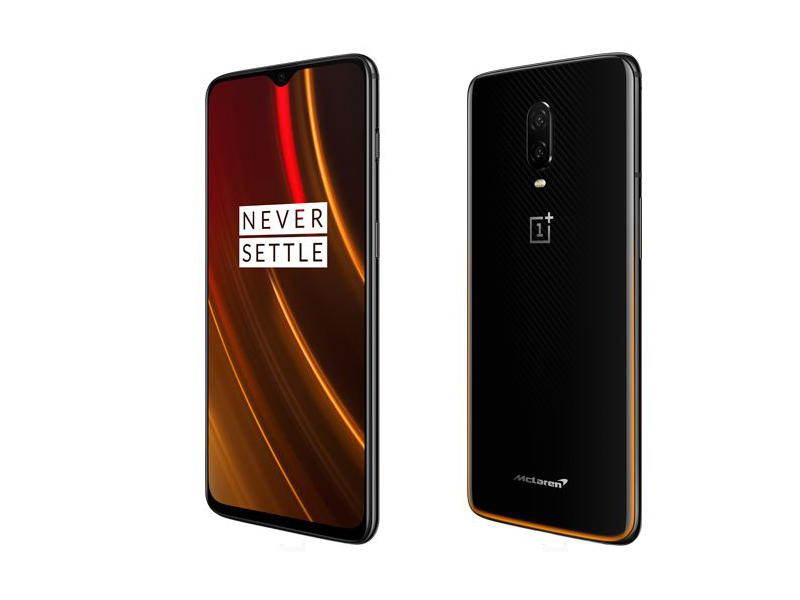 79% Test og anmeldelse af OnePlus 6T McLaren Edition: Warp Charge er super fedt – men vil man vil betale 1.200 ekstra for det? Qualcomm Adreno 630: Integrated graphics card in the Qualcomm Snapdragon 845 SoC. According to Qualcomm 30% faster than the old Adreno 540 in the Snapdragon 835 with 30% less power consumption. Non demanding games should be playable with these graphics cards. » Further information can be found in our Comparison of Mobile Graphics Cards and the corresponding Benchmark List. 845: High-end SoC for smartphones that was introduced in early 2018 and manufactured in 10 nm LPP FinFET at TSMC. Integrates 4x Kryo 385 cores (Cortex-A75) at up to 2.8 GHz (max) for performance and 4x Kryo 385 at 1.8 GHz (max) for efficiency. Furthermore offers an X20 LTE modem, ac-WiFi and a dual-channel 32-Bit 1866 MHz LPDDR4x memory controller.» Further information can be found in our Comparison of Mobile Processsors. The Chinese smartphone manufacturer Shenzhen OnePlus Science & Technology Co., Ltd. was founded in 2013. The first smartphone was launched in 2014. It is a subsidiary of BBK Electronic Corporation, a Chinese giant electronic company group, which contains Oppo and Vivo, too. Oppo, Vivo and OnePlus combined had a world market share of more than 10% in the smartphone business in 2016. This exceeded even the Huawei share and resulted in rank 3 behing Samsung and Apple. Furthermore, it was an increase of about 140% compared to 2015. However, OnePlus is the smallest of the three BBK-smartphone manufacturers. There are not too many reviews on OnePlus smartphones, the ratings are above average (as of 2016). 88.06%: This is a good rating above average. Nevertheless you should not forget, that 10-15% of all notebook-models get a better rating.